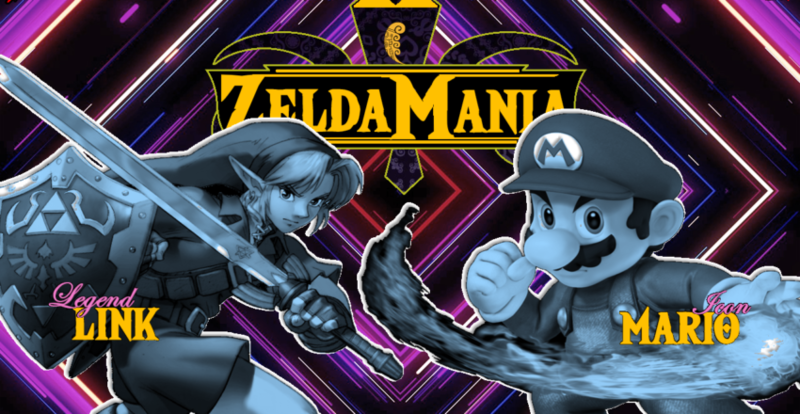 CAVE OF TRIALS: ZELDAMANIA! Link vs Mario, Midna vs Mipha, and More! It’s finally here! Welcome everybody… TO ZELDAMANIA! We’ve got a great line up for you today so let’s get right to it! 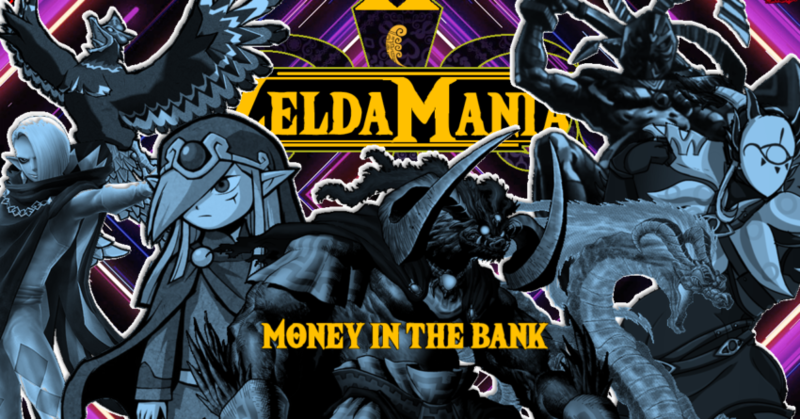 First to kick things off, we have seven villains from the Zelda series all competing for the illustrious Money in the Bank contract! What does that mean? It means that at any time the fans choose, against any Champion, the winner of this match will get a title shot against the Champion – and start with a 100 vote lead! Who will earn this almost guaranteed Championship?! Vaati? Helmaroc King? Odolwa? Volvagia? Ghirihim? Kohga? Ganon?? We decide… NOW! We move on the the grand finale of the Tag Team Title Tournament! 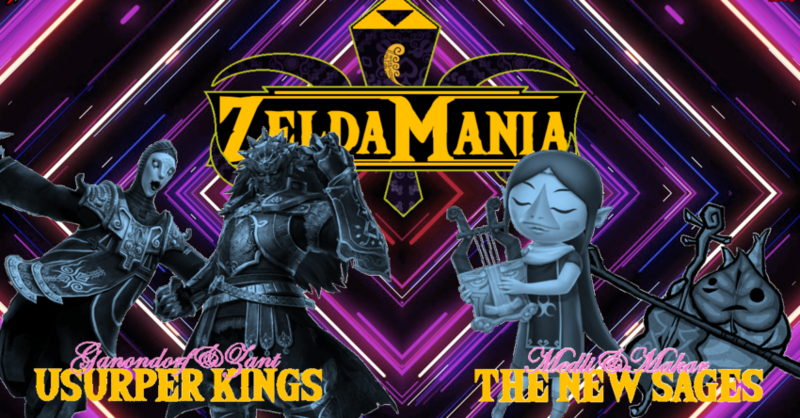 The Usurper Kings and the New Sages have battled their way through the competition, each winning three battles to advance to the finals. The first ever Tag Champions are about to be crowned! And now for the match that Cave of Trials has been building up to for months. Two undefeated Champions. Two General Managers. One match to determine who the strongest competitor in Cave history. Mipha represents Andy. Midna represents Gooey. The winner will take control of Cave of Trials. The winner will go down as the greatest Champion ever. 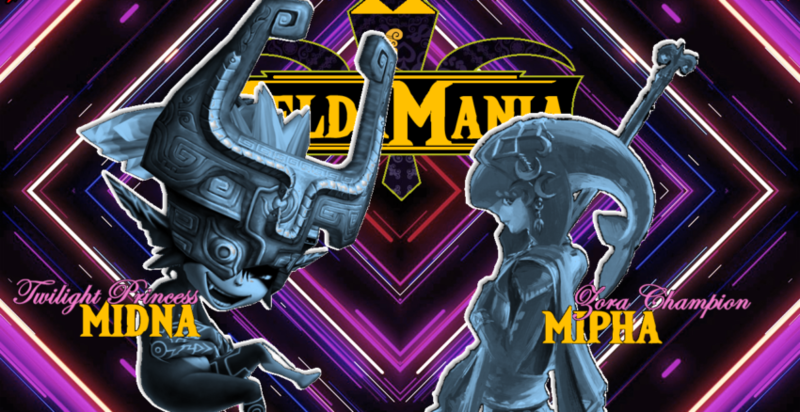 Midna vs Mipha… IT’S ON! The first two time Cave of Trials Champion is putting his title on the line against the first competitor from outside the Zelda series: the one and only Super Mario. Can Mario come in and spit on the eye of all the Zelda competitors and steal the title? Can Link withstand the power of an industry giant? Who will the crowd cheer for?? It’s all about the Championship. Thanks for tuning in to Zeldamania this year! We’ll be back next week and see you at our next major event: King of the Cave!